We can organize tours everywhere throughout Poland by special order. Historic monuments in the cities of Poland such as: Cracow, Wrocław, Gdańsk, Poznań. You are invited to discover them with us! 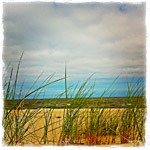 Maybe you‘d like to lie and relax on the sandy beach of the Baltic Sea? Kayaking in the area of a thousand lakes? Bison in the preserved Białowieski Forest? Walking around the Tatra Mountains? Just call or write to us, and we can design a tour especially for you!